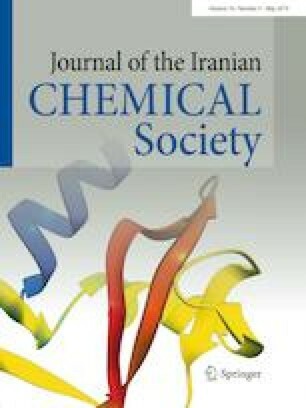 The synthesis of two mononuclear copper(II) complexes of formula [L2CuX]X where L is a bidentate ligand of N-(pyridin-2-yl-methyl)propane-2-amine and X = Cl, 1 and Br, 2, is reported. Both complexes are fully characterized by elemental analysis, spectroscopic techniques (IR, UV–Vis, and EPR), thermal analysis, conductance measurements, and single-crystal X-ray structure determination. The structures of both complexes are similar and display a distorted square–pyramidal arrangement around copper(II) ion. The chromotropism behavior of the complexes, including thermo- and halochromism, was investigated. The complexes demonstrated strongly pronounced reversible thermochromism in solution due to dissociation and re-coordination of halide and bidentate ligands. Their halochromism was investigated in pH range of 3.0–11.0 by visible absorption spectroscopy. Their reversible color variations from blue to colorless attributed to the deprotonation and protonation of the bidentate ligands. The online version of this article ( https://doi.org/10.1007/s13738-018-01577-z) contains supplementary material, which is available to authorized users. We are grateful for the financial support of the University of Mazandaran of the Islamic Republic of Iran.